Don’t be misled by the name of BMW’s new car: it’s a replacement for the 5 Series Gran Turismo and will look to attract buyers who might otherwise have been tempted by an Audi A7 Sportback. BMW has shown off the first pictures of its new 6 Series Gran Turismo. A replacement for the 5 Series Gran Turismo, it will be seen in the flesh for the first time at the Frankfurt Motor Show in September. It will rival the Audi A7 Sportback. Like its predecessor, the new 6 Series GT tries to blend the luxury of a saloon with coupe looks, but in the transition from 5 to 6 Series, the new car has been given a sleeker look. The new car is longer than the outgoing model, the windscreen sits at a sharper angle, the car’s height has been reduced, and the rear end is lower. 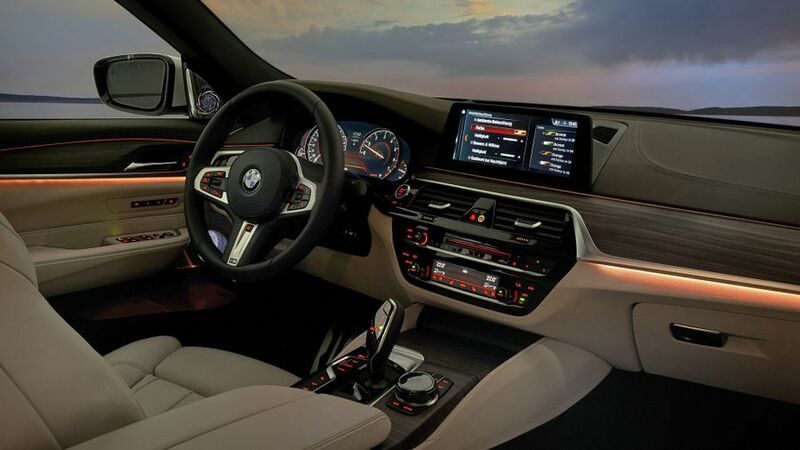 Inside, the cabin is very much what we’ve come to expect from the BMW’s latest cars, with the infotainment system centred on a 10.25-inch screen, and the various operating menus accessed by the rotary iDrive controller. In addition, every model will come with voice control, as well as the option of a head-up display and Gesture Control, which allows the driver to operate some functions with the wave of a hand. According to BMW, despite the new look, there is no sacrifice in space, comfort or practicality. The company says the new 6 Series provides more head-room and more bootspace than the old model. 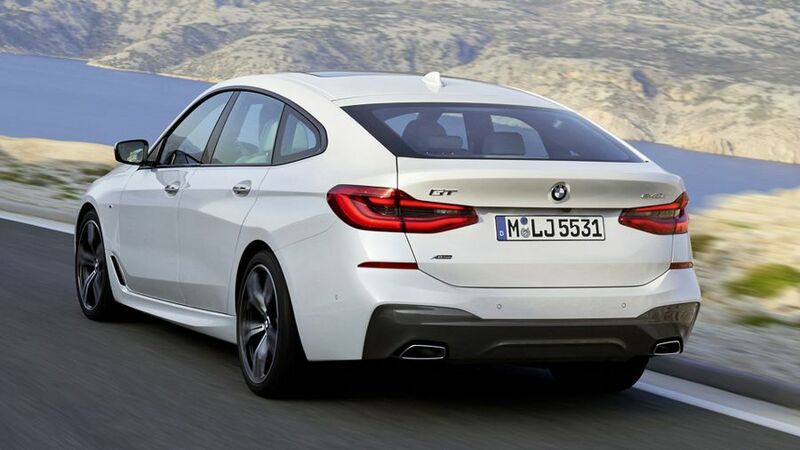 What’s more, the new look, along with lower weight, also help the 6 Series GT to be more economical than the outgoing 5 Series. 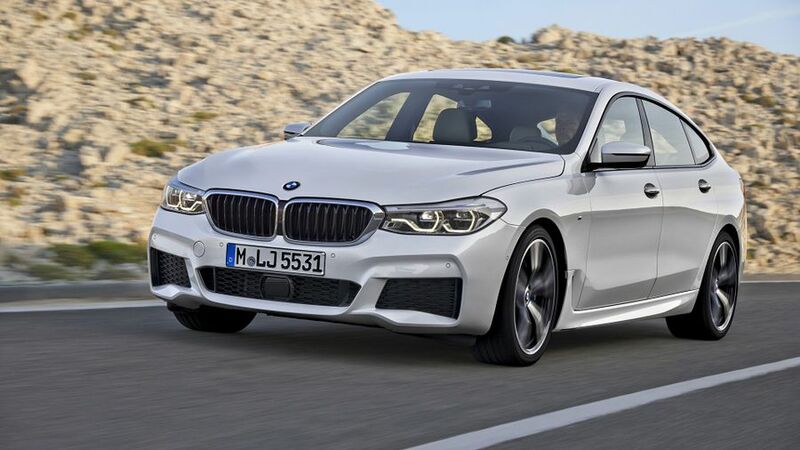 Buyers will have a choice of three engines – the petrol-powered 630i and 640i, along with the 630d diesel – and four-wheel drive is available on all but the 630i, standard on the 640i, and optional on the 630d. All models come with self-levelling rear suspension, but an adaptive air suspension will be available as an option. 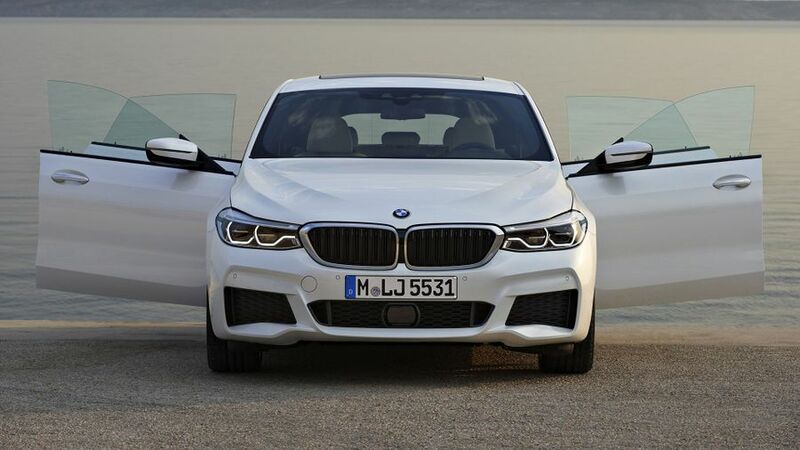 This gives a more comfortable ride, BMW says, while the Executive Drive option goes one step further, allowing the driver to raise and lower the car’s ride height to suit the conditions: higher over rough ground, or lower to give sharper handling, for example. If you choose that option, you also get some extra features on the Drive Performance Control, adding Comfort+ and Adaptive modes to the Eco Pro, Comfort and Sport that drivers can select to tailor the way the car drives to their own preferences. Two trim levels will be available – SE and M Sport – and all will come with climate control, metallic paint, alloy wheels, and a reversing camera. To this, M Sport models add a panoramic glass sunroof and leather upholstery. Buyers will also be getting the latest in driver-assistance systems, such as the snappily titled Collision and Pedestrian Warning with City Collision Mitigation system, but there is also a huge choice of other systems on the options list. The car will reach retailers in November, but prices have already been announced, with the range starting at £46,810. The 630d costs from £50,665, and the 640i from £53,970. Interested in buying a BMW 6 Series?